A lobby to you won't want to leave. Photo courtesy of The Beekman. 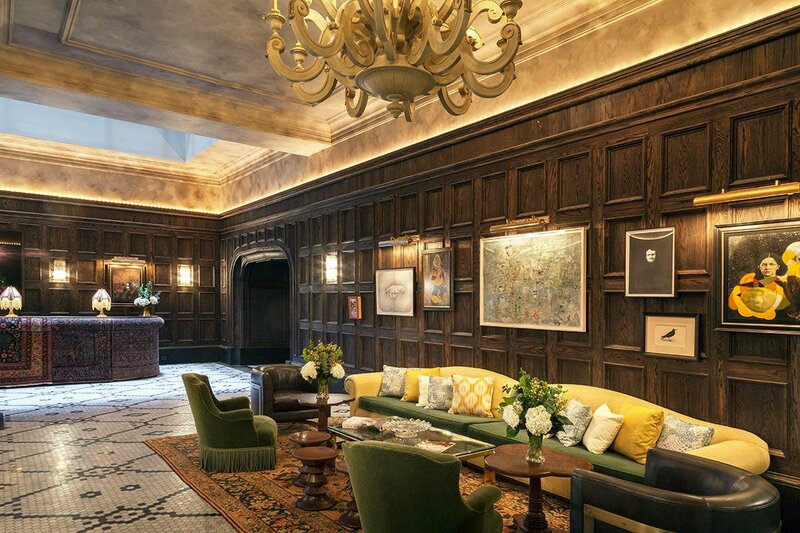 Fathom reports on the latest hotel openings in New York City. NEW YORK CITY - Skyscrapers seem to go up over night in impossibly small foot prints. Restaurants turn over at a rate that outpaces just about every other city. 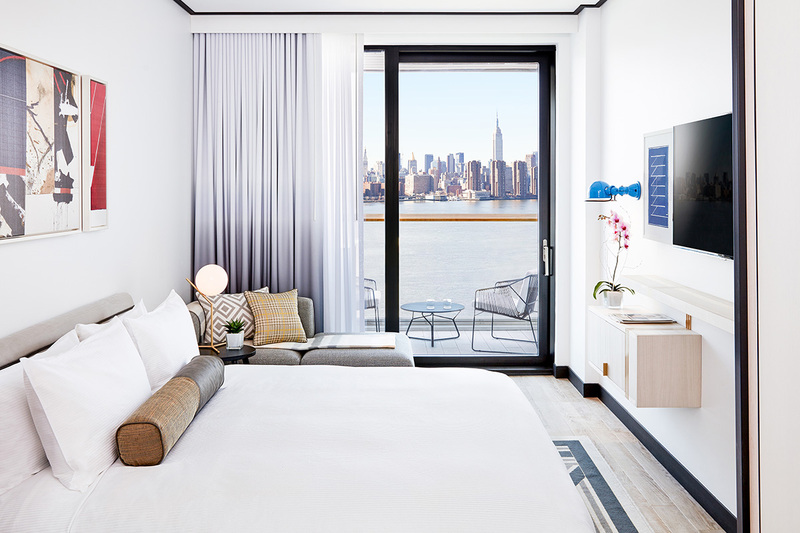 The City That Never Sleeps is in a constant state of evolution and the hotel scene is no exception: Dozens of new hotels have cropped up in the last year touting clean design, historic properties, notable chefs, and reasonable price points. It's a good time to visit. The studio. Photo courtesy of Arlo Hudson Square. 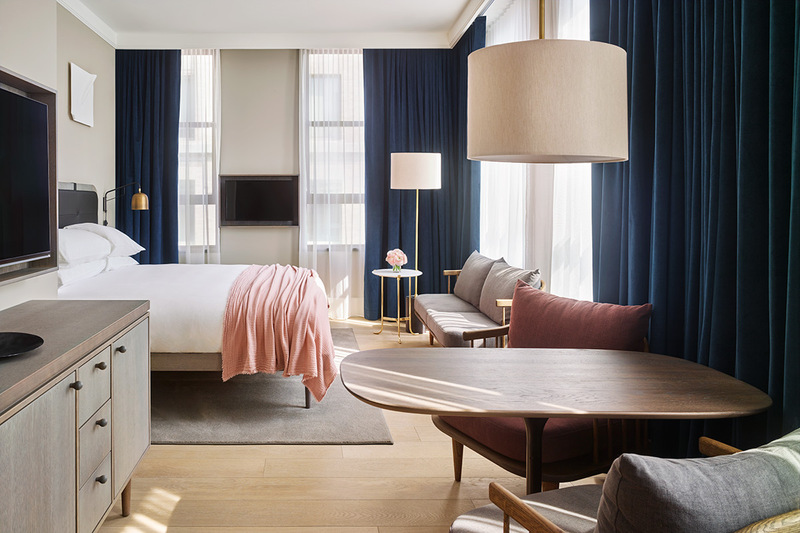 Specs: The newest brand in the boutique hotel scene launched its first "micro hotel" on the western edge of Soho and has a second NoMad property slated to open later this year. Guests can make themselves at home in the designy lounges, bar areas, and outdoor patios. Compact guest rooms make use of limited space with multi-functional modern furniture and built-in storage compartments. Warm walnut furnishings, rain showers, and Blind Barber bath products add a luxurious feel. Pluses: With room rates starting at $199 per night, the sleek design hotel feels like a steal in comparison to other Manhattan properties. Instead of overpriced and uninspired minibar fare, they've partnered with Brooklyn-based indie food purveyor Mouth to offer a rotating selection of small-batch snacks from the U.S. in their 24-hour market. For a heartier meal, guests can visit Harold's Meat + Three for upscale Southern fare from chef Harold Moore. Minuses: The micro-sized rooms are indeed micro. Pack accordingly. Unique Selling Point: This hotel is all about community. With its numerous public spaces and elevator bank lined with crowd-sourced travel tips, Arlo Hudson Square is designed to connect like-minded travelers. Superior queen. Photo courtesy of The Beekman. Specs: This is a landmark stunner in the historic Financial District. The centerpiece is a nine-story cast-iron atrium restored to its original glory. The new Thompson Hotel flagship has done an incredible job paying homage to old-world New York (mosaic tiling, antiques, velvet couches) while feeling incredibly up to date (contemporary art, usb ports at the bar). The 287 rooms feel like pre-war Manhattan studios, lavishly appointed with large windows, marble bathrooms, and custom furniture. Pluses: It already feels like an icon. One could easily spend all afternoon drinking martinis in the lobby bar, where there's great lighting, jewel-tone banquettes, and lots of antique curiosities. Minuses: You will pay for this version of old New York. Rates start at $500 a night. Unique Selling Point: The hotel has restaurants from Tom Colicchio and Keith McNally, a boon for everyone who lives and works in Lower Manhattan. Corner studio. Photo courtesy of 11 Howard. 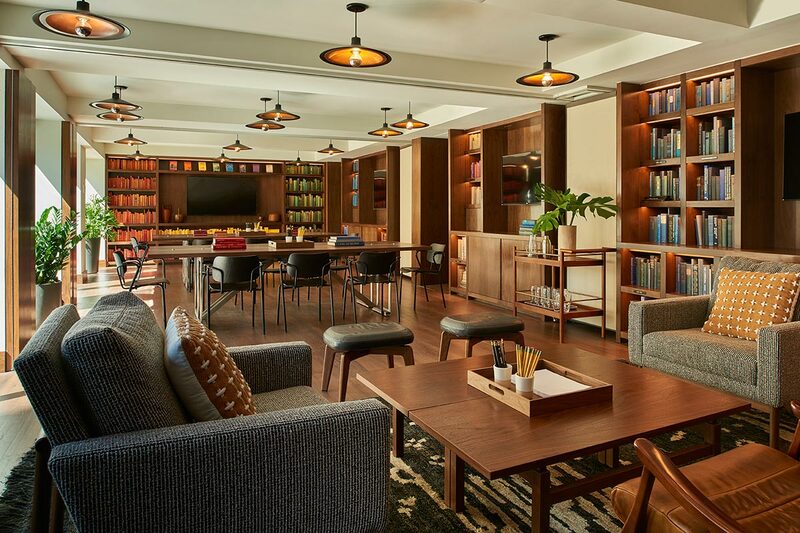 Specs: A fashionable, Scandinavian-inspired hotel feels boutique despite it's size: 221-rooms. Think minimal: There's a serene entry way that's all light stone and warm leather. Instead of a traditional front desk, good-looking hotel staff greet clientele with a touch pad. Rooms are Danish-spare and Manhattan-size. Pluses: Its Stephen Starr restaurant has become a super hip hang, a place to see and be seen in that Soho kind-of-way. Wear your highest heels. Minuses: See above: On two separate stays, the clubby action could be heard from guests tucked into bed. Unique Selling Point: Howard Street is one of Soho's last little-trafficked streets. It's smack-dab in the middle of the action but feels tucked away. Great stores like Opening Ceremony, Saturday, and BDDW are its neighbors. The hawker stalls of Canal Street are right around the corner. The entrance. 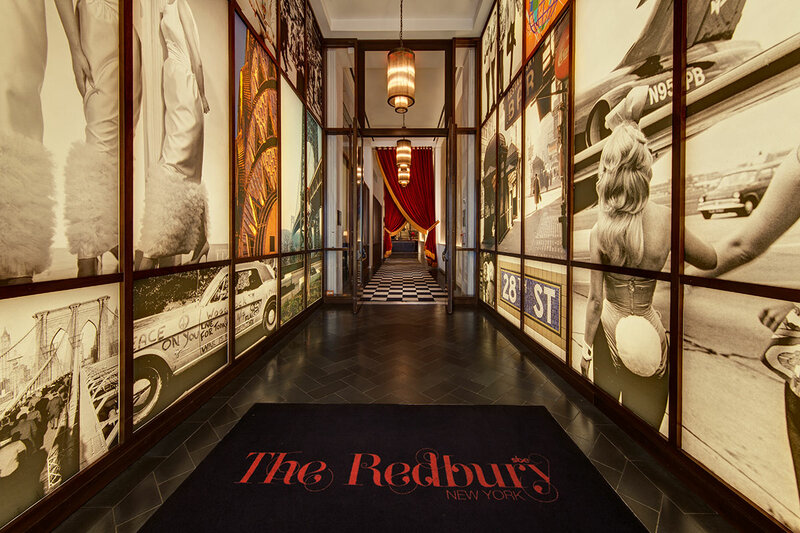 Photo courtesy of The Redbury. Specs: The former Martha Washington Hotel has been transformed into a funky boutique property with design inspired by 1960's pop music and bohemian counter-culture. 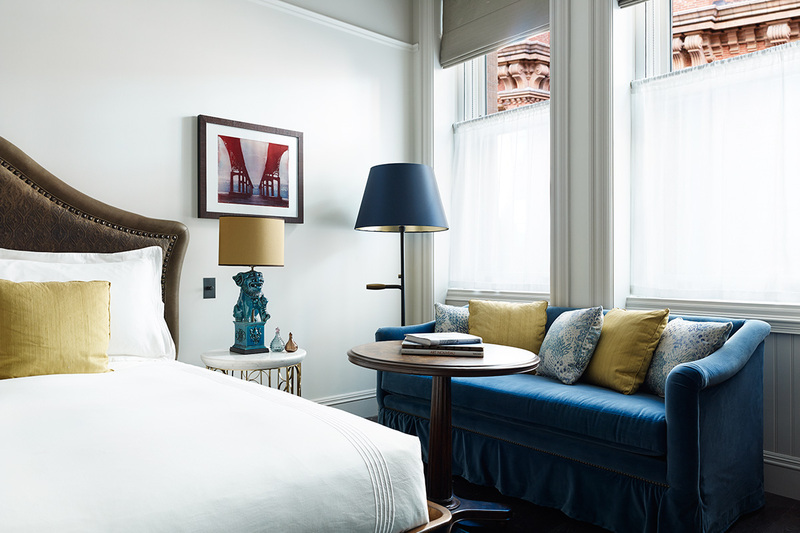 The landmarked hotel features renovated guest rooms with Persian rugs, antique light fixtures, reclaimed furnishings, and vintage art that reflects the iconic rock 'n' roll age of New York City. Pluses: The historic property is home to Danny Meyers' hit Roman-inspired pizzeria Marta. The Italian restaurant is known for its thin, crackly-crusted pizzas, lively open kitchen, and original dishes featuring seasonal ingredients from local farms. The hotel aims for a more intimate feel with touches like handwritten notes, bespoke amenities, and the simple remembrance of a favorite room. Minuses: The rock 'n' roll decor and red and black color theme are intense. Unique Selling Point: The reasonably priced hotel (room rates start at $239 per night) is centrally-located, so you can get just about anywhere in Manhattan within 30 minutes. A bedroom with a view. Photo courtesy of The William Vale. Specs: Without a doubt, the most exciting Brooklyn hotel opening to date is also one of the most noticeable buildings to appear in the borough's skyline. At 23 stories, the distinct-looking hotel has 183 guest rooms starting at $350 per night, all of which come with a private balcony. Onsite parking, Frette linens, and the longest pool in New York City are only a few of the hotel's perks. Pluses: More than just a hotel, The William Vale is bringing the Williamsburg community together by displaying work from local artists and hosting regular cultural events. Chef Andrew Carmellini is introducing his award-winning food to the borough with not one but three different restaurants, including Westlight, a rooftop bar and street food joint with insane views of Manhattan. Minuses: For a hotel with so many nice details, the lobby feels a bit lackluster. Unique Selling Point: Atop the hotel is Brooklyn's answer to the High Line. Vale Park contains 15,000 square feet of public green space with rolling hills, shady nooks, and postcard views of Manhattan.